Venshore Mechanical was awarded a lump sum contract to supply various module skids and piping fabrication for Praxair Canada’s new T2400 plant being constructed in Fort Saskatchewan Alberta. 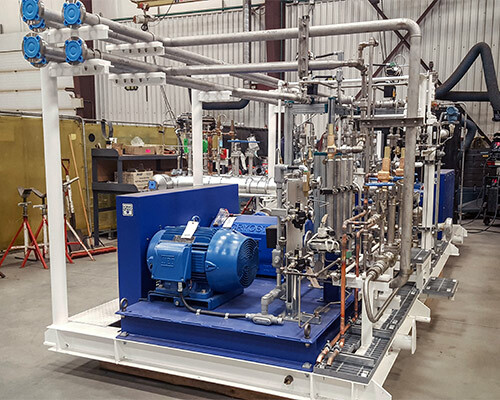 All of the assemblies were completed in VML facility in Thunder Bay including Pipe and steel fabrication, complete Oxygen Cleaned, tested and shrink-wrapped for shipment. 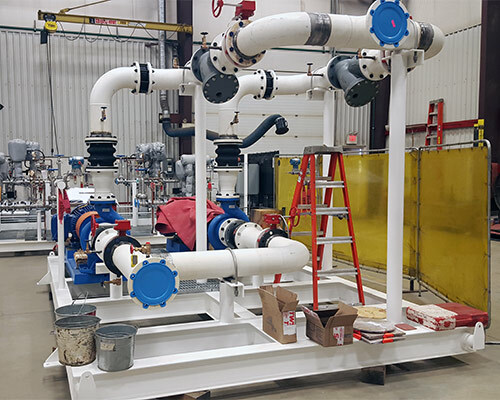 “Venshore Mechanical Ltd completed our project including fabrication of six pump skids, and pipe and pipe supports (plant area 610, area 611, area 612, and area 613) in a safe and professional manner within the project time schedule. The cooperation of the project team as well as attention to Praxair specifications and standards, details, and quality assisted in a successful installation at the site. Quality Engineer, Praxair Canada Inc.